Luxury Assisted Living where you can make yourself at home. Our mission is to care for our residents as we would our own family members. From the moment you walk through our doors you will discover a warm, welcoming, loving environment. 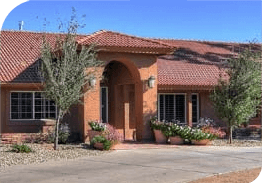 As a leader in luxury assisted living, Paradise Living Centers is known for its beautiful residential settings conveniently located in the highly sought neighborhoods of Paradise Valley, North Central Phoenix and Arcadia. Our locations, elegantly designed interiors and exteriors coupled with our commitment to providing compassionate, quality assisted senior care are what set Paradise Living Centers apart. Residents and their families find comfort knowing that daily operations at each of our care homes are managed by two professional care managers, one of whom is also a Certified Dementia Practitioner. Paradise Living Centers’ nurse, the Health Care Manager, and our care managers are all on call 24/7. Our Health Care Manager attends to the needs of each resident, communicating with their physicians and informing our care team through each step. We have an amazing care team dedicated to helping our residents achieve optimum health and well-being. Our goal is to give families the peace of mind that comes from knowing their loved ones are safe, comfortable and well cared for. If you or your family member are in need of assistance because of limitations and challenges with health or mobility, we are here to provide personalized, dignified care. We help make this transition as seamless as possible and do everything we can to make our residents feel at home. 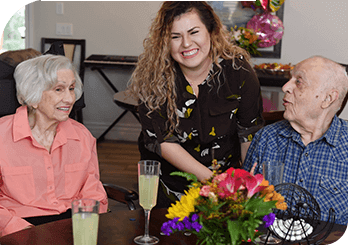 Our goal is to provide a home with individualized attention to allow each of our residents to be fulfilled and enjoy every day, emphasizing the ‘living’ in assisted living. 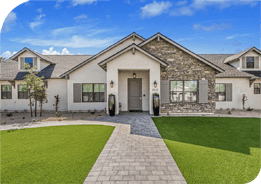 We have homes located in Paradise Valley, North Central Phoenix and Arcadia. If you would like to schedule a tour or learn more contact us today. 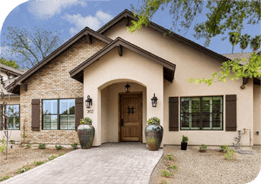 To learn more about our homes and services or contact us to schedule a tour and speak with our Care Manager.